This is a repost due to many requests for this recipe on Facebook and my personal emails. I modified this recipe so many times and this is the most favorite so far. 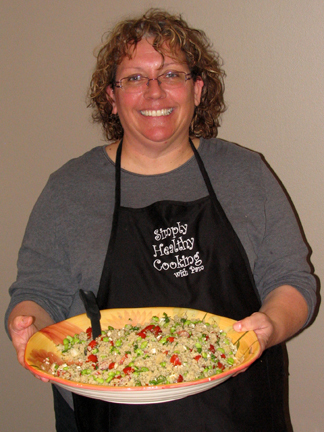 I originally posted this on March 6, 2010 so it is really nice to get requests for this recipe often. I am fascinated with grain and seed salads. It is hard to believe that these little tiny kernels of seeds pack such a powerful healthy punch. Quinoa is an excellent source of protein. I made a salad as part of a birthday lunch for a friend and it was a huge hit. The original salad recipe came from a friend of mine’s mothers recipes. Where she got it I am not sure. Enjoy! 1 cup quinoa, rinsed and drained (this is important because of the coating on the seeds. It tastes bitter when not rinsed well. Bring the water to a boil in a 3 quart pan. Add the salt and quinoa. Return to a boil and then reduce the heat to simmer and cover. Cook for 15 minutes until the whole seed then cracks open and pops. This will make about 2 cups of cooked Quinoa. Transfer the cooked quinoa in a large bowl. Toast the slivered almonds on a stone or cookie tray in 350 degree oven for approximately 3 to 5 minutes until the almonds are golden brown. It may take more time depending on your stove. Dice the dried apricots into small mini size pieces and toss with the cran-raisins in the large bowl with the cooked quinoa. Add the minced parsley, chives, green onion, English cucumber and fresh mint to the mixture. In a small bowl, combine the cumin, coriander, orange juice. Whisk in the oil until well blended. Before serving, pour dressing over quinoa mixture and toss well with fork. Sprinkle with the toasted pumpkin seeds and almonds over the grain salad and serve. I think I am just nuts about farmer markets. I love the one near my apartment. The market has several organic meat vendors that offer a diversity of meat such as different flavor sausages and cuts of meat. You can purchase, sample, and question the vendors to your hearts content about how they process their sausages and their meats. I just love the tart cherry chicken sausage that I purchase from one of the vendors just absolutely amazing. 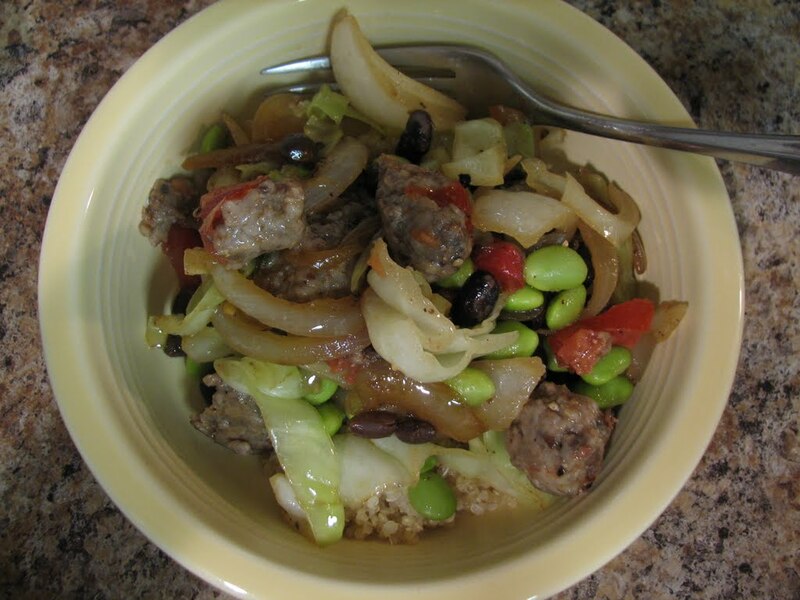 I threw some things together and came up with this fast and easy dish that is just loaded with some simple summer flavors. In a 10” sauté pan, heat up the olive oil over medium high heat and add the sliced onions and green cabbage. Season with salt and pepper and continuing to cook until the onions and cabbage is soft. Add the crumbled sausage to the mixture and cook until sausage is done about 7 to 10 minutes. Add the Edamame, black beans and tomatoes until heated thoroughly. 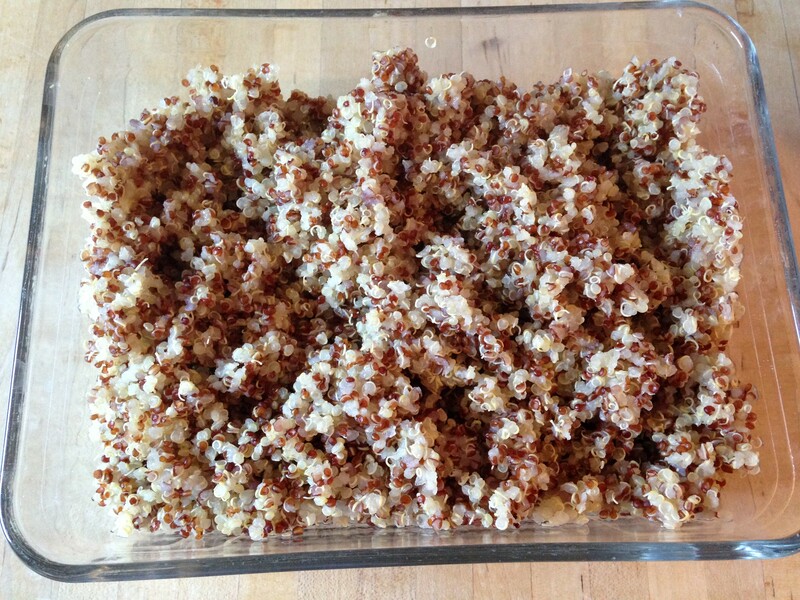 Serve over cooked quinoa. Enjoy! I have fallen in love with the Edamame Bean. I think it is the best thing food has to offer these days along with the whole grain Quinoa. I saw this recipe in an email I received from the Diabetic Living and I thought what an excellent combination for a salad. Along with feta cheese and my homemade basil Pesto that I made from the basil I grew in my garden, what could be better? For a workshop demonstration that I did last October, this recipe was so simple, easy and the results were just amazing. Everyone who attended the diabetes workshop loved it!